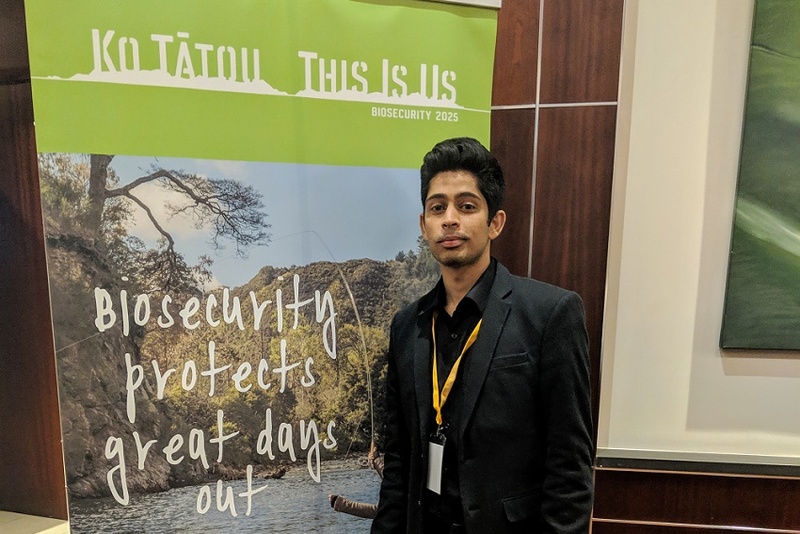 A passion for trade and movement of goods led to AUT Business student Trishul Raj being granted a studentship to this year's Biosecurity New Zealand Forum. 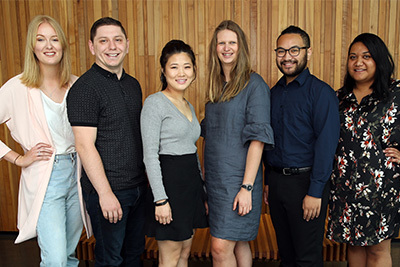 Trishul, who is pursuing his Master's degree in Global Business, was keen to attend this year’s Forum to further his understanding of the impact of globalisation, trade and the movement of goods on our country’s biosecurity and the overall economy. “Biosecurity should be a high priority, as our GDP (Gross Domestic Product) and the economy as a whole relies on meat, dairy, agricultural produce, honey, and wine,” Trishul said. This was the first year that studentships were available for the Forum, with Head of Biosecurity New Zealand Roger Smith keen for students to participate. “The future of New Zealand’s biosecurity lies in the hands of the planners, policy-makers, scientists, and educators of tomorrow. “To be effective, our biosecurity system must be supported by enough people with the right knowledge, experience, and skills at every level, right across the board. While the majority of our studentships were granted to students with backgrounds in environmental studies, it was fantastic to have Trishul’s business perspective at the forum,” Roger said. The economic impact of biosecurity breaches, which was highlighted during the forum, was of particular interest to Trishul. “I was very surprised by the costs that are involved in eradication and control of biosecurity threats and was intrigued to learn that the costs of eradication are a lot higher than efforts to prevent the arrival and spread of pests and diseases. Trishul was also impressed with the high-calibre line up of speakers during the two-day forum. Of particular interest was Andrew Robinson, developer, and CEO of Questa Game, Australia, who showcased his app that takes players outdoors where they can compete to become environmental scientists. “I was drawn to Andrew’s approach of using gamification to involve the community in biosecurity,” Trishul said. Trishul is now keen to take back what he learnt at the Biosecurity New Zealand Forum and incorporate it into his business studies. “This forum has been an eye-opening experience. I’ve gained a greater understanding around why biosecurity matters to New Zealand and our economy,” Trishul said.